Erik Simon: Well, since Thalion was in the wild days of the games biz, we never had to release really rotten eggs. But we did release games that in hindsight were not really cool, e.g. : Leavin' Teramis, Seven Gates of Jambala, Enchanted Lands, Neuronics and a few others. Most of them concentrated too much on technology and had an unfocused game design. Then, of course, there was Airbus 320. It was by far our most commercially successful title (around 100.000 copies sold), but it wasn't done in-house and from a gamer's perspective it was plain boring (not for the sim crowd, though). There was a hard lesson to be learned for me with this one. Dragonflight (my contribution: game design, level design, graphics, project lead): The game that brought me into the biz. Might've been a huge hit when we'd managed to bring it out 1 1/2 years earlier. Still, a creative success. Amberstar (my contribution: a bit graphics, some design input but not much): A fun, big RPG. Ambermoon (my contribution: some game design, some level design, some graphics, project lead): A major creative success (also sold quite well). Trex Warrior (my contribution: game design, level design, graphics, project lead): The game bombed commercially. Because it didn't fit into our CEOs new focus (Airbus should position Thalion as a sim company), it's been a stealth release (no ads, no PR, no nothing). But it was one of the few fun 3D games and was finished in time. Wings of Death (my contribution: graphics): A great game, did the graphics in a very short time. No Second Prize (my contribution: game design, some level design, minor graphics, project lead): Fastest 3D-engine on the ST/Amiga, Motorcycles, solid game play. What more could you want ;-) ? Lionheart (my contribution: game design, level design, project lead): A major creative success, I loved this game. Henk Nieborg's gorgeous graphics, Erwin Kloibhofer's solid coding, great sound by Matthias Steinwachs and the rest just made one of the best Amiga games ever (IMHO). Ever heard of Henk Nieborg? This is the question asked by Jason Scott, the current guest blogger on BoingBoing. Yes, I know Henk. I worked with him at Thalion Software in the early nineties. He was there together with Erwin Kloibhofer to work on Lionheart, one of the best jump and runs ever on the Commodore Amiga (alright, so I am biased, but some people agree). I even shared an appartment with them for about a year in a small little town outside of the slightly less small little town which happened to be the centre of German game development (Gütersloh, I'm not kidding, every game company had an office there at some point). All the people there were two kids two cars kind of people. Except us. In the early nineties I worked for Thalion Software, a company which was somewhat legendary in Europe on the Atari ST and Commodore Amiga platforms. Because it was founded by and employed many former demo coders (such as me), their games were known for their high technical quality. 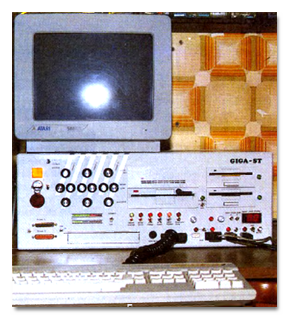 Around 1991 we were approached by Rainer Bopf, a colonel from the German air force, who had written an Airbus A320 simulator for the Commodore Amiga. 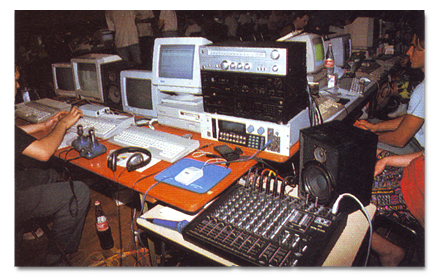 To the extreme demo coders that we were at that time, the technical quality was, bluntly speaking, bad. But our managing director at the time saw something in it. He made a licensing deal with Airbus, Lufthansa and Jeppesen, the company making the aviation maps used by actual pilots, and marketed the game as a serious commercial (ie non-military) flight sim, aimed at an older audience, who wanted their fantasies firmly rooted in reality. The game came in a heavy box filled with a big manual and aviation maps. It became a huge hit, so huge that the managing director at one point got up every two hours at night to feed the disk duplication machines which were running in his basement at home with fresh floppies. It became so huge that one weekend, the developers (us) had to come and help fill the boxes. So there we were, any of one of us top people in our respective domains, filling boxes (if you ever hear me saying that "I did pretty much everything you can do in the games business", I am referring to that weekend). If I recall correctly, the game sold over 250.000 copies, on Amiga and ST (and maybe PC), in the early nineties, mainly in Germany and the UK. There was even a players' conference in the UK. One programmer, who is one of the most talented 3D engine programmers I know (he wrote the 3D engines for No Second Prize, Extreme Assault and Incubation), had to port this game to the Atari ST. I shared an office with him at the time. Do you know that Gary Larson cartoon with the devil showing the guy into a room in hell full of idiots with banjos, saying "And this is your room, maestro."? That's what that was like. It was heart-breaking. More war stories from the depths of time! My first job in the industry was main programmer on Amberstar, a big role-playing game by Thalion Software for the Atari ST. Amberstar was developed in a very interesting way. It was the brainchild of Karsten Köper, who before joining Thalion had developed a role-playing game called Mythos for Atari XL and Commodore 64. He had spent about eighteen months developing a set of editors in GfA-Basic, a very powerful Basic for the Atari ST that was quite popular in game and demo development. (Fun fact: Karsten is mentioned alongside Eric Chahi on the GfA-Basic Wikipedia page.) These editors allowed him to create data for any role-playing game in any setting - a bit like GURPS for computer role-playing games. Characters had attributes like "number of ring fingers", for potential sci-fi settings. So what I received when I started was a description of each screen in the game (typical for this kind of role-playing game, it was very GUI-driven), and a description of the binary data formats of the files that Karsten's tools generated. And that was it. I spent about a year writing a program on the Atari ST that could handle these files while Karsten created all of the maps, quests, items, etc. and the artists created all of the art (from, if memory serves, lists that Karsten made using his tools). The interesting thing was that a two man team based in Hamburg was doing the exact same thing for the DOS version. I met them at the start of the project, and I talked to them once during development over the phone (to discuss something I was doing in code that was, for once, not coming from the data), but that was the only contact we had. After a year, we had the same game for two different platforms. I'm still impressed that this worked out so well. Arguably it's an inefficient way of porting, since the DOS version required twice the programming manpower as the ST version, and the Amiga port was done the "traditional" way. But it still feels very different from any normal approach to game development. Of course, these days you can achieve the same effect using RPGMaker. We used the same system for Ambermoon, the sequel to Amberstar. Ambermoon was developed for the Commodore Amiga, but we kept editing the data on Atari STs. We made some changes to the underlying system. I came up with a couple of those changes - if I remember correctly I made some improvements to the conversation system. This time two people created the data for the game. Since we didn't have a network, this meant putting certain core files on a floppy disk, and whoever had the floppy could edit them. Everyone except me switched to PCs for development (and we got a network). Since the game was being developed for the Commodore Amiga, I was using that, until Commodore went bust and the entire project switched to PC and C (from 68K assembler which is what I'd been using since 1991). "But wait", you ask again, "you were using PCs, but those tools were written in a custom Basic for the Atari ST! How could that possibly work?" The answer is: Hardware ST emulators. 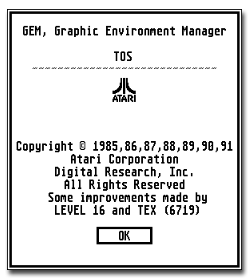 Every developer who used the tools had a special card in his PC, and we switched from DOS to GEM and back. And to make things weirder: The emulator was entirely done in software - the hardware just contained a chip with the ST ROM (TOS) and perhaps a peripheral interface or two. If you don't want to change how you work, think about embracing a new target audience. 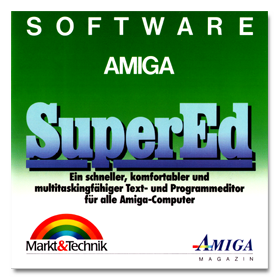 My first job in the industry was at a long-defunct German company that had the reputation, mostly among European 16-bit computer gamers, of making very technically advanced games. The team consisted of a who's who of the best programmers and graphic artists from the Atari ST demo scene (plus me). We made that limited machine, and its slightly sexier sister the Commodore Amiga, do things they were not meant to do, but which looked extremely impressive at the time. Our company had recently signed a publishing deal with a commercial airline pilot who had written an Airbus A320 simulator for the Commodore Amiga in his spare time. Since flying an A320 was his day job, his simulator was very realistic, and our managing director had seen its potential and set up partnerships with Lufthansa, Deutsche Airbus, and a company making official flight maps, which lead to all that stuff having to be put into all those boxes. And a lot of boxes there were. Despite the fact that the game was written as a side project by someone who was not a hot-shot programmer working in assembly language, the game sold very well. Despite the fact that no one had noticed the niche, there were a lot of people who wanted an Airbus A320 simulator for 16-bit computers. Despite the fact that the game did not use any of the bleeding-edge 3D engines we had developed internally, it filled an unmet need and outsold most of our other titles. Airbus A320 taught me to pay attention to things that people are fanatical about. Even today I look at racks of magazines - remember those? - for ideas, because if a magazine exists there are people interested in that subject, and that may be an untapped gaming market. Had Ambermoon been released for the PC? I'm interested in your final point about coding for love rather than money. Is that why you all set up Thalion? Jurie Horneman: It might be best if that novel was to remain hidden... but at least I can say that I'm a "published author" - it tends to impress women :-). I also wrote the story in the Amberstar manual. They had to double the amount of pages for that. It was a bit gloomy (I remember a disemboweling scene and a child being attacked by an undead bear) and probably very bad. The Lionheart story was cute though. I came up with pretty much every motivation I could think of why someone would do what the main character does and crammed them all into one four-page scene :-). Jurie Horneman: The German company [Thalion] was for all means und purposes dissolved by the end of 1993. The German version of Ambermoon had shipped and the texts had already been sent for localisation. I had a contract with the UK office to produce the English language version, which I did. To my knowledge that version was never officially released, but it's gratifying to see that people can play it now. I was quite pleased with Ambermoon and I know some of the other team members were, too. Does anybody know what happens when you take a broomstick to the forest moon in Ambermoon? If I remember correctly, some guy comes up and jumps onto the broomstick, turning it into 1000 pieces. Yes. OK, now which Thalion member does this guy resemble? The demon is Erik Simon. Erik and I had different opinions than Karsten on how to build a fantasy world. Karsten liked to throw in lots of stuff, we liked things to be more... coherent? Im not judging. Erik designed the forest moon, the broomstick was a thorn in his eyes (and mine), so Erik added that little bit of logic as a joke :-). "As you set foot on the green world for the first time, something very strange happens: A red-bearded demon, nine feet tall, appears in a cloud of smoke and throws himself in a rage on your broomstick! He looks at it in disgust and then smashes it into tiny pieces. With a satisfied grin on his face the strange demon disappears. The broomstick is just a pile of splinters." Man sieht den Helden mit dem Amberstar, im Hintergrund die Feste Godsbane. Der Adler ist das wohl beste Transportmittel auf Lyramion. "Chambers of Shaolin", "Leavin' Teramis", "The seven gates of Jambala" und "Warp" wurden sowohl auf einer doppelseitigen als auch auf zwei einseitigen Disketten vertrieben. Die doppelseitige Single Disk-Version von "Leavin' Teramis" und "Warp" enhält auf der zweiten Diskettenseite anscheinend die zweite Diskette der einseitigen Double Disk-Version (Seite 00 und 01 werden anscheinend nicht abwechselnd sondern hintereinander gelesen [Seite 00/ Spur 00-79 > Seite 01/ Spur 00-79]). Des Weiteren wurden einige Spiele wie beispielsweise "Chambers of Shaolin" sowohl als "File Version" als auch "Trackloader-Version" veröffentlicht. This game does have quite an interesting loader - it loads all even tracks, then switches sides and starts reading downwards all uneven tracks! The protection was also quite interesting with a mixture of disk checking (flaky bit protection: It tries to read a track 64 times of which 50 reads need different data to succeed) and trying to guess how the cracker would remove the protection by counting words until an rts was found! What about the third part of the unfinished Amber trilogy? Are there any parts of the scenario? Graphics? Tales? Jurie Horneman: Karsten Koeper, the main designer of Amberstar and Ambermoon, had long had ideas for a third game, which I believe he wanted to call Amberworlds. However, by the time Ambermoon had ended he had decided to leave the company. Thorsten Mutschall, who did a lot of the graphics on Ambermoon, and I had done some brainstorming sessions on a possible setting and story for a third game. However, when we moved to Blue Byte and decided to make another RPG, we started all over again together with Erik Simon. We could no longer really use the Amber setting, plus we wanted to do something else, in a different style. That became Albion. Could you tell us what these stories were about, please? What happens in Lyramion after Ambermoon? Jurie Horneman: I'm sorry, I know Karsten told me this at some point, but I forgot. I even forgot what Thorsten and I were thinking of ;-). Diese Forum-Beiträge wurden mit freundlicher Genehmigung des Thalion Software Webshrines verwendet. If you had the chance, would you like to finish the Amber trilogy and work on an "official" sequel to Ambermoon? Probably the first half year that I worked at Thalion I lived in Holger Flöttmanns new place together with Nic "Nic of TCB" Thisell. Holger still lived at his parents and the old office at the Königstraße was used as regular office space. We needed some place to live, so this was the solution. Because we were supposed to have to move out to more suitable lodgings at any time, neither of us really ever properly unpacked. As summer 1990 approached, Thalion assumed new office space about 100 metres east in town and I moved out of this place and into the old office premises until I quit in March 1991. Nic had nearly finished "Enchanted Land" and opted to finish it back in Stockholm (holding the entire game ransom until Thalion paid up - a wise choice as the company was having the beginnings of financial trouble then). Das Leitmotiv von Robbie Buchanans "The Chosen One" aus dem Film "Auf der Suche nach dem goldenen Kind" wurde von Jochen Hippel für den Resetscreen der "Cuddly Demos" übernommen. "City Walk" aus dem Spiel Amberstar kann in Teilen eine gewisse Ähnlichkeit mit dem Musikstück "The days long gone" von Joe Hisaishi aus dem Anime "Nausicaä aus dem Tal der Winde" nicht verleugnen. Dieses Game haben wir bereits in seinem "Urzustand" in der ASM 10/1988 vorgestellt, jetzt aber gibt's eine überarbeitete Superfassung, bei der Vollprofis am Werke waren, nämlich die Jungs von Thalion! Der GIGA-ST von TEX zeigt Ihnen, zu welchem Supercomputer Ihr ST wachsen kann. Haben Sie eigentlich schon das 3D-System der Firma Thalion gesehen, das sogar auf 286ern und Amigas erstaunlich flott läuft? Lord British alias Richard Garriott: Nein, noch nicht. Wie hieß die Firma? 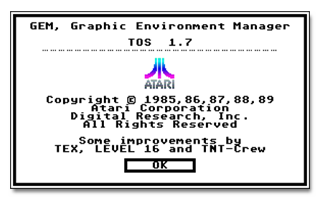 The publisher of the game wanted us to make it run on all versions of the Atari, even the smallest Atari ST with 512 KB RAM and only a single sided disk drive. To have as much memory as possible, the original game was developed to run completely without any ROM-TOS! All I/O, sound, keyboard and disk routines were written by myself. In this way the game could use nearly all of the 512 KB. [...] A special assembly switch changed the conditional assembly from using GEMDOS routines to direct DMA/ FDC controller programming. [...] The final version only runs from disk! On the disks (with a very special disk layout [...]) I had as short filenames as possible not to spend to much space for the directory. During development I had three versions for the three supported languages and for each language two versions (one developer and one final version). The Dragonflight disks are composed of sectors which fill in the complete track (6 KB). So we have no gaps and can fill 960 KB on each disk (6 KB/ track, 80 tracks, 2 sides). I also use my own directory structure in which small files can share one single sector (normally each sector is dedicated to one file). In this way the sectors are always completely filled with data (exept for the last one). All three ATARI ST versions (German, English and French*) used the same special disk layout. This was a 'standard' track 0 of course (to be bootable), but the other 79 tracks were in the 'single 6k sector format' (only one sector per track, but with a size of 6 KB). Most disk monitors, investigating the disk layout, only analyse track 0 in which there is a 'disk description section' in sector 0. But the data in that section is only valid for track 0. Our track layout was quite simple: One sector per track but with 6 KB of data (which corresponds to 12 sectors with 512 bytes). Leaving away the gaps and headers there is enough space for 6 KB. In this way a double sided disk can hold 960 KB of data. But (! ): The standard FAT uses at least one cluster (2 sectors) for each file and each cluster can only contain one file. This means that a file of 1 byte length would occupy a complete cluster that is 2 sectors/ 1024 bytes. Solution: Dragonflight has also an own directory structure, which allows multiple files in one sector. This is only reasonable for read-only disks! But that's the case for the original game disks. And this special disk format with the special directory layout could only be read by directly programming the floppy disk contoller which currently no emulator is able to handle correctly. By the way, the disks were created with the AMIGA, who had no FDC at all and who could write the raw data to the disk drive. The disk layout was not primary for having a copy protection but to get more data onto the disk. The real 'copy protection' is done by some questions concerning the manual: You have to type in some words from the manual. Except the first one, each track is made up of five 1024 byte sectors and one 512 byte sector, which allows to cram more data thanks to fewer inter-sector gaps. Tracks all have the same recorded number (ID field): 178. This number is obtained by using the $F7 format code, that orders the WD1772 to issue two CRC (control) bytes. Notice that the CRC of the ID field itself is correct. Each track has a special header in the pre-data gap zone. This header is obtained by using the format codes $F5 (address mark) and $F7 (CRC). Contrary to what the doc states, the CRC register isn't preset to ones ($FFFF) prior to data being shifted through the circuit, but to $CDB4. This happens for each $A1 address mark (read or written), so the register value after $A1 is the same no matter how many address marks. When formatting the backup disk, Dragonflight writes a single $F5 (»$A1) in its custom track headers and expects value $CDB4. The format code $F7 may be used inside an ID field. The CRC bytes are added to the CRC, so that this is correct. This implies that at the receipt of $F7, the WD1772 saves the current value of the CRC (at least the lower byte), before it is modified by adding the upper byte to the logic. Track 00.0 has classic 9 × 512 bytes sectors, all others have 5 × 1024 bytes + 1 × 512 bytes. All tracks have a strange A1 sync at the end of the ID and of the data fields. We need to look at the start of the track content. Here we can see that at the end of the ID field we have 14 0B. This is obtained by writing 00 29 A1 (hidden sync). When we look at the end of the data field we have the same sequence. Another interesting sequence is that at the end of the track - we have a long sequence of $F7 characters. Published in 1991, Neuronics doesn't appear to be published by Thalion. It looks like it is published by some company called "Art Edition". The disk and the manual all have the standard Thalion Software GmbH logos on them, but the box isn't the standard Thalion box and says: "Copyright Art Edition. Im Vertrieb der United Software GmbH." Erik Simon: "Art Edition" was a budget label of United Software. Neuronics was done by a freelancer, but Thalion's Thorsten Mutschall did completely new graphics, (Jurie Horneman designed the logo), we provided the music and produced the game. Jurie Horneman: [Do you] see that big console on the lower left of the screenshot on the back? Thorsten drew everything behind that, then covered it with the console. He's like that. In retrospect, the text on the back cover is highly original. Nobody does that anymore. Ich habe 1989 bei Thalion als Programmierer angefangen, wo ich Titel wie "Warp", "Leavin' Teramis", "Trex-Warrior" programmiert habe. Ebenso habe ich an "Amberstar", "Ambermoon", "Lionheart", "Magic Lines" & "Airbus A320" mitgearbeitet. Irgendwie war ich von Anfang an von 3D-Grafik fasziniert, bin aber leider nicht gerade ein Mathe-Genie, aber irgendwie gings dann doch immer. Das Programmieren habe ich mir selber beigebracht, so habe ich schon während der Schule angefangen alle möglichen Demos zu schreiben. 1993 habe ich mich selbständig gemacht, verschiedene Titel angefangen, aber rausgekommen ist in dieser Zeit nur "Iron Soldier" für den Atari Jaguar. Über seltsame Umwege hat es mich dann im Sommer 1996 nach Synetic verschlagen. "Have a N.I.C.E. Day" war übrigens mein erster Titel, den ich nicht mehr komplett in Assembler programmiert habe (dafür komplett in C). Lang lebe der 68000er! Richard Karsmakers: When I look back at my period of employment at Thalion Software in Germany, I come up with mixed feelings. On the one hand there was great friendship and a lot of talent, and on the other hand there was commerce knocking on your door, commerce littered with individuals you couldn't trust at all. "Wings of Death... ha, ha, ha, ha! ", those immortal words from Richard Karsmakers greeted players in the intro tune. The in-game voice was done by Tim Moos (Manikin of The Lost Boys) because they needed somebody who sounded English enough for a professional game. Der ST-Soundchip hat nur 3 programmierbare Stimmen, jedoch keinen Filter, keine Ringmodulation und auch keine einstellbaren Wellenformen. Nur mit Hilfe eines eigenen Synthesizer-Programmes ist man in der Lage, die Lautstärke eines Tones anhand einer eigenen Tabelle zu modulieren. Insgesamt schneidet der ST-Soundchip schlechter ab als der SID des C-64. Zum Thema digitalisierter Sound: Um einen ansprechenden Klang zu erzeugen, ist einerseits eine hohe Abtastrate (mind. 10 kHz), andererseits auch eine entsprechend gute Auflösung (mind. 8 Bit) nötig. Unter diesen Bedingungen benötigt jede gespielte Sekunde 10 KByte Daten, sodass ein kleines Stück von 10 Sekunden bereits 100 KByte benötigt. Softwarefirmen sind bestrebt, das Programm auch auf ½ MByte lauffähig zu bekommen, sodass nach Abzug des vom Betriebssystem benötigten Speichers (64 KByte) und nach Abzug von zwei Bildschirmseiten (Shapes sollen flimmerfrei sein) nur noch 384 KByte übrig bleiben (lächerliche 10 Sekunden belegen 26% des Speichers). So bleibt z. B. "Tonic Tile" nichts übrig, als einen kurzen Sample andauernd zu wiederholen. Außerdem benötigt das Abspielen erhebliche Prozessorzeit. Da der Seka einen eingebauten Linker besitzt, müssen Sie die Programme nicht linken. Die vorhandenen Linker-Menüpunkte sind damit eigentlich überflüssig. Ein assembliertes Programm speichern Sie mit dem Befehl "wo". Es wird jedoch als normale ausführbare Datei gespeichert, mit GEM-Header und Reloziertabelle. Ein komplett PC-relatives Programm können Sie nicht speichern, da der Seka die Reloziertabelle in jedem Fall anlegt. Bei einem PC-relativen Programm besteht sie nur aus dem ersten Langwort, das auf die Reloziertabelle zeigt. Dies verursacht bei Startversuchen die Fehlermeldung "TOS-Fehler 35". Um nun ein Assembler-Programm in Basic einzubinden, assemblieren Sie es mit den Befehlen "org" und "load". Dabei wird es direkt in den angegebenen Speicher geschrieben, auch an die Speicherstelle Null, wenn Sie nicht aufpassen. Das entstandene Programm müssen Sie mit dem Befehl "wi" speichern. Nachteil: Das Programm läuft nur noch in dem Speicherbereich, für den Sie es assembliert haben. Abhilfe: Ein PC-relatives Programm ebenfalls mit "org" und "load" absolut versehen, obwohl ja keine absoluten Adressen vorkommen. Dieses speichern Sie als IMG-Datei. Die entstandene Datei laden Sie dann mit "bload" an jede beliebige (freie) Speicherstelle. The TCB-TLB fax war was commenced during the time that Dave and Tim stayed over at Thalion to code "A Prehistoric Tale", summer 1990. We even got into some slight trouble with Thalion's managing director after he found out that we had been faxing to Sweden all the time. In der Ausgabe 11 vom November 1990 der Zeitschrift "ASM Aktueller Software Markt" sind in dem Artikel "Neue CES in London. Test bestanden. Aber: Quiet, please..." auf S. 117 am Ende Tatsachenbehauptungen über mich aufgestellt, die nicht der Wahrheit entsprechen. Ich werde hinsichtlich meiner Arbeit für die Firma "Thalion Software GmbH" mit der Aussage zitiert, ich hätte das "sinkende Schiff verlassen, um ein neues Label zu planen". Dieses Zitat ist unrichtig. Richtig ist, dass ich hinsichtlich der Firma "Thalion Software GmbH" weder von einem "sinkenden Schiff" gesprochen noch in sonstiger Weise eine Einschätzung der Prosperität der Firma zum Ausdruck gebracht und keinen Zusammenhang zwischen meinem Ausscheiden aus der Firma "Thalion Software GmbH" und deren geschäftlichen Belangen hergestellt habe. Auch habe ich weder erklärt, noch plane ich ein "neues Label". Weiter wird als meine Information wiedergegeben, es säße bei der Firma "Thalion Software GmbH" "nur noch Erik Simon (Grafiker) im Büro". Auch diese Behauptung ist falsch. Richtig ist, dass ich zu keiner Zeit die Erklärung abgegeben habe, bei der Firma "Thalion Software GmbH" säße nur noch Erik Simon (Grafiker) im Büro. Dies entspricht im Übrigen auch nicht den Tatsachen. The "Dragonflight" manual refers to Erik Simon having had a motorcycle accident and the highscore table of "A Prehistoric Tale" refers to "Richard Carcrasher". So, what are the background stories? Richard Karsmakers: When I worked at Thalion software - I keep on referring to that period of my life, don't I? - I worked closely together with the designer of large classic role playing games like Amberstar and Ambermoon, a guy called Karsten Köper. Richard Karsmakers: When you're programming in GfA-Basic, everything goes pretty smoothly. Things only go wrong on two possible occasions. The first is that you'd try to run version 3.6 or lower under MultiTOS - it doesn't work at all. The second case is that you've got a pretty huge program, say 200 KB or more, and you would want to compile it. No panic - it will certainly compile terrifically. The compilation speed will be stupefyingly slow, however. How come? I noticed the problem first when I was still working at Thalion software. There were two people programming in basic. Karsten Köper was programming this tremendously huge design system for role playing games. I was updating my fairly enormous virus killer in my off hours. The stupid thing was that Karsten's program compiled blindingly fast, within a minute. My source took over 230 seconds to compile, which basically gets down to over four times as much time for a file hardly larger (if not smaller) than Karsten's. Das TOS ist genau 256 KByte groß und muss im $E0 Adressbereich liegen (beim STE ist das der normale ROM Bereich. Bei einem alten 520 / 1040 ST benötigt man einen Adress-Decoder. Ich hatte mir das vor 30 Jahren aus einem GAL 16v8 selber gebaut...). Bei gedrückter [Alternate]-Taste können ASCII-Codes als Dezimalwert eingegeben werden (nur mit dem numerischen Tastenfeld). Was läuft auf dem TT? "Huch, was ist denn das? ", werdet Ihr gleich fragen. Aber keine Angst, es ist nur halb so schlimm. "Fantasy" ist für viele von Euch sicherlich kein Fremdwort mehr. Ein eingefleischter ST-User kennt einige Fantasy-Rollenspiele. Um die Pallette der Rollenspiele zu vervollständigen, wird Euch Sir Marillion von Capricorn Productions mit einem neuen Fantasy-Rollenspiel überraschen. Zuvor müssen jedoch noch einige Vorbereitungen getroffen werden. Eine dieser Vorbereitungen sollt Ihr Euch ausmalen. Im wahrsten Sinne des Wortes startet Capricorn Productions einen Wettbewerb, an dem alle teilnehmen können, die über einen ATARI ST und eines der folgenden Graphikprogramme verfügen: ART DIRECTOR, CYBER PAINT, DEGAS ELITE, NEOCHROME, SPECTRUM 512. Gesucht wird ein selbstkreiertes Bild, das dem Fantasy-Bereich zuzuordnen ist. 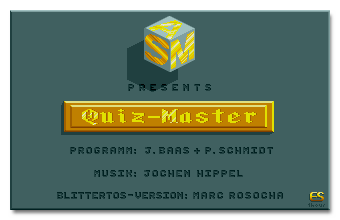 Mehrere Einsendungen sind erlaubt, jedoch nicht mehr als eine Diskette, die zweiseitig bespielt ist. Für die Rücksendung der Diskette bitte einen adressierten und frankierten Rückumschlag beilegen. Dem ersten Gewinner winkt ein Rollenspiel seiner Wahl. Einsendeschluss ist der 1. Oktober 1989, der Rechtsweg ist ausgeschlossen. Bei Teilnahme am Wettbewerb gehen die Rechte an den Bildern an Capricorn Productions über. Das beste Bild wird in den GFA-CLUB Nachrichten vorgestellt.